Blades above the Competition, uh. You know what I mean, we top the competition, then we go back and mulch it! If you are an ABC Pest and Lawn customer. Mention this ad and get a 1/2 price second mowing upon switching service to us. Superior Service, Five Star Service. 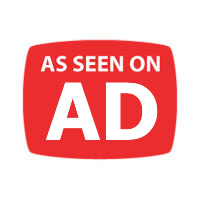 Try us and you will see, superior service, all the time. Contact us today. Welcome to Austin! The news and statistics tell us that over 170 people move to Austin everyday. Maybe that means about 70 or less people moving to South Austin everyday. Austin is a great place and the reason that so many people are finding out about our fair little city and moving here in droves. South Austin is the melting pot of this greater metropolitan area and a perfect place to settle down with like minded people, start a career, raise a family, or just have fun! Whichever category you fit in, if you have bought or living in a house and have a yard, you will need to keep it trimmed, Contact us, we can help! Home Owners Associations (HOA) require you to keep your yard and lawn up to a certain standard and level. If not, then you will be fined. Not only that, but if you don’t handle in a short amount of time, then the fines will increase. In many cases, in addition to the fine, the HOA will send out a mowing company to mow your lawn and then charge you and exorbitant amount for the privilege of mowing your lawn. In order to avoid this utter ordeal, then scheduled mowings are for you, Sign up today! If you serve on an HOA Board and would like our services, then please let us know, we can do the job right and on time, every time! We provide Property Management Services to the South Austin Leasing and Rental Community. We are a full-service property management service provider. If you are a property owner or landlord with a South Austin property and would like to retain or inquire about our services, please contact us. Renter, Landlord, Lease, Home Owners Association (HOA) – Are you Renting Your Home? We’ll mow for you as much as your landlord likes and needs you too. Do you have an HOA that wants your lawn kept a certain way, we’ll mow it and keep it trimmed down so that they can go on with their lives and not worry about your lawn. Contact us now. Maybe you can even have your landlord pay for the mowings, just ask. If you are a landlord/property owner and would like us to perform scheduled mowings to your property, then please let us know and will can do the job! Lawn-Mat Lawn Care Services honors our friends and family in the community who have served our country. We offer a $3 off of each mowing for our regularly scheduled customers over the age of 65, with mention of this ad. Thank you to all Lawn-Mat Lawn Care Services clients old and new for making the Spring/Summer/Fall Mowing Season the best comeback for our business. Despite the horrible record setting drought in Central Texas. We were able to stay extremely busy maintaining and improving healthy lawns. 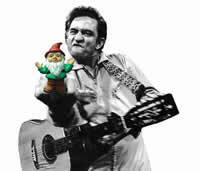 For those of you who allowed us to enrich your lawn this year, did not do a Gnome, Gnome. We thank you for you loyalty and business. See you again in 2012! Some say it’s the end of the world, let’s just not hope that the drought continues and will be the end of your lawn. Remember, Lawn-Mat Lawn Care Services is a full lawn maintenance business that can help your lawn in winter time too. As well as with fertilizing and sprinkler head replacement. 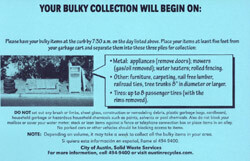 A$$, Cash, or Grass – The City of Austin is providing a cash option incentive for new grass lost in the drought of 2011. Contact Us for help with this. Application must be postdated by October 14, 2011 to be eligible. $10 for every 100 sqft converted from existing turf to Bermuda or Buffalo grasses listed in the City of Austin Preferred Plant List. Minimum of entire front yard and/or back yard turf. Minimum of 6″ soil depth, 8″ preferred (soil may need to be added). Automatic sprinkler systems must undergo an irrigation evaluation. Turf installation is limited to a maximum of 20,000 sqft. Areas in excess of 20,000 sqft must be replaced with native landscape or permeable hardscape, rock gardens, mulching or non-irrigated beds. We also Prune Trees that need them or upon request. Just ask us about it, next time we are at your house or Contact Us Now. We Have A Sprinkler For You! Your Lawn Deserves It, so just ask us next time we are there. And we would be glad to lend a helping sprinkler. This drought is bad, save your lawn! Ever wonder what I am listening to so fervently in my ear buds? Here is one of my favorites playlists on my Sansa® SanDisk Clip+ 8GB with expandable memory MP3 Player, via Last.fm.